It is now full speed ahead for the new generic Top-Level Domains. The Sunrise period for these gTLDs will begin very soon, and for some of them, the public at large can already claim its own domain. And since the “first come, first served” principle is applied in this context, there is no time to lose! The project to create the new Top-Level Domains becomes more concrete by the day. Little by little, the future managers of the new gTLDs sign agreements with ICANN. Once this is done, the gTLDs are “delegated”, which means that they are included in the Internet Root Zone. Then begins the Sunrise period, during which companies and trademark owners are included on a priority registration list to secure their trademark as a domain name. Afterwards, there is the Landrush or the General Availability period, during which everyone is allowed to register a domain name. The difference between these two periods is that during the Landrush, domain names for which multiple applications have been received are auctioned, while during the General Availability, it is all a matter of acting quickly: those who submit an application first get the domain name. Some new gTLDs enjoyed immediate success. When .photography was launched for the public at large, more than 10,000 domains were registered in just a few days. Another popular extension is .guru: more than 20,000 domains have already been registered. Will the Belgians, who are crazy about cycling, all go for the .bike domain name? We will get an answer to that question in the next days and weeks. But let’s not forget about some important geographic gTLDs that are coming and that could have a huge impact on the Internet landscape in Belgium. On the one hand, there is .vlaanderen and .brussels, which will soon gain their independence online. Unfortunately, there is no .wallon equivalent, which would allow the federal state to have its counterpart in the online world. 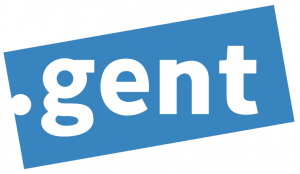 And on the other hand, there is .gent, the first city in Belgium that will turn its identity into a gTLD. Other large cities will probably follow the example set by Ghent, so that public services, as well as citizens and companies, can stress their local roots with such a specific gTLD. In the meantime, registry agreements have been signed for .brussels and .vlaanderen, but also for .gent, which is the “mobile silicon valley” in Flanders. Ghent was in fact the first Belgian city to sign an agreement with ICANN (on 23 January 2014). .vlaanderen and .brussels then followed on 6 February.